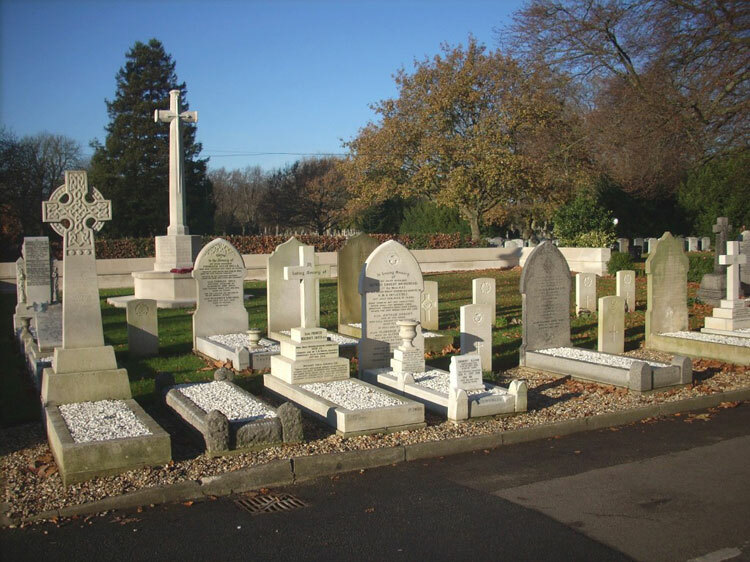 The City of London Cemetery and Crematorium, Manor Park (Essex) contains 729 Commonwealth War Graves from both the First World and Second World Wars. 329 of the graves are First World War burials. 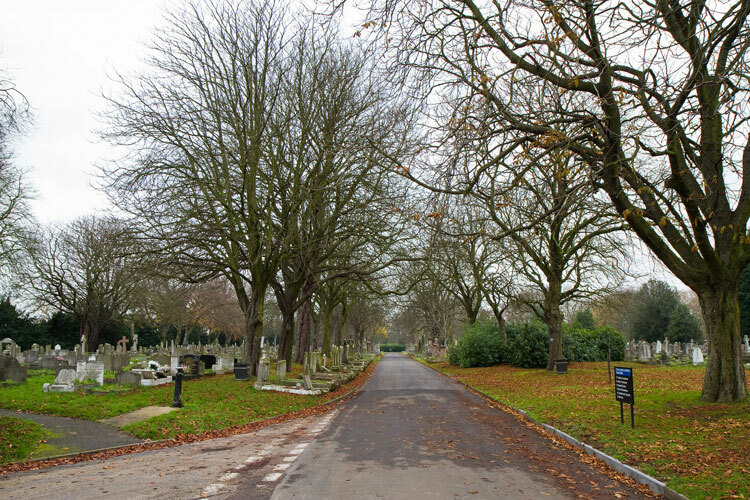 Many of the soldiers buried here died in Bethnal Green Military Hospital. The Screen Wall at the back of the War Graves Plot commemorates by name those buried in the plot or in graves elsewhere in the cemetery which could not be marked by headstones, and those who were cremated in the City of London Crematorium. One screen wall commemoration is that of a Yorkshire Regiment soldier. We are extremely grateful to "oldpicruss" for providing the photo of the screen wall commemoration. 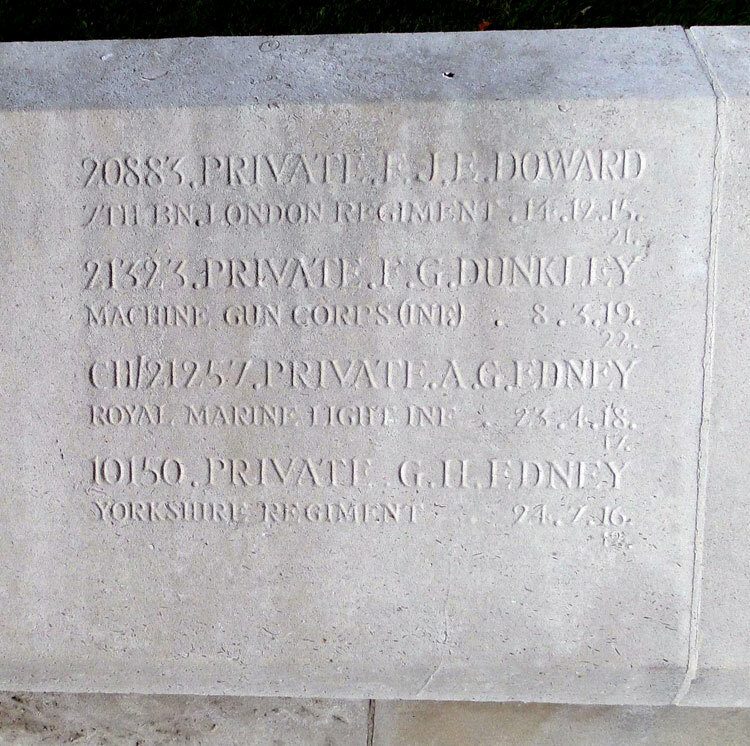 Private George Henry Edney. 10150. 2nd Battalion the Yorkshire Regiment. Son of the late William George and Emily Edney, of Isleworth, Middx. Died at home 24 July 1916. Aged 23. Born Rotherham, Enlisted London, Resided King's Cross. Photo © Copyright Martin Addison and licensed for reuse under this Creative Commons Licence.